Lincoln Health System and Lincoln Medical Group proudly announce the addition of Dr. John M. Burney to the LMG Women’s Center. Burney, Board Certified Obstetrician and Gynecologist will join Board-Eligible Obstetrician and Gynecologist Christy Pettes, MD and Board Certified Nurse Midwife Alysha Walker in the Lincoln Medical Group Women’s Center, located in the Lincoln Medical Center Medical Plaza. The group will provide a variety of healthcare services to area women ranging from annual wellness exams, contraception and birth control, hormone replacement therapy and full-service obstetric care. In addition, the group will diagnose and treat urinary incontinence and leakage, pelvic pain, heavy menstrual periods, and post-menopausal bleeding. Drs. Pettes and Burney will also offer surgical services such as minimally invasive sterilization/tubal ligation and hysterectomies. 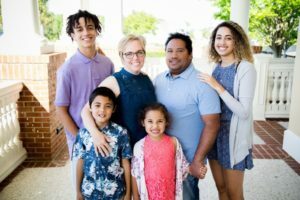 After spending the past 4 and half years in Myrtle Beach, South Carolina, Dr. Burney and his family are excited to be moving back to Tennessee where they will be closer to their families. Burney received his undergraduate degree at the University of Alabama and completed medical school and residency at Meharry Medical College in Nashville, Tennessee. Please call 931-433-1105 to schedule an appointment with Dr. Burney or visit the practice website at www.LMGWomensCenter.com for more information. For more information on the Women’s Services available at Lincoln Health System, visit the Health System website at www.LincolnHealthSystem.com/women.